First Aid: One of the first merit badges to be offered by the Boy Scouts of America, the first aid badge requires the ability to help when someone is ill or injured until professional help arrives. Citizenship in the Community: Understanding how to participate in local government and make changes is part of the path to earning this badge. Citizenship in the Nation: Standing up for the rights of others and defending our country and the rights of individuals are key to this badge being earned by an Eagle Scout. Citizenship in the World: This badge is awarded for being openminded and seeing past differences to understand how others in our world live, despite our differences. Communications: As stated by the U.S. Department of Education: "Communication focuses on how people use messages to generate meanings within and across various contexts, cultures, channels, and media. The field of communication promotes the effective and ethical practice of human communication." Cooking: You must demonstrate not only that you know how to prepare a meal, but that you can store and prepare the food safely. You also must demonstrate knowledge of what composes a nutritious menu. Personal Fitness: The twelve weeks spent working towards the personal fitness badge should allow scouts to learn the importance of taking care of their bodies and staying fit and healthy for their entire lives. Emergency Preparedness or Lifesaving: Being prepared to help save someone's life who is hurt or in distress in or on the water is the focus of this important badge. Truly the definition of "be prepared." 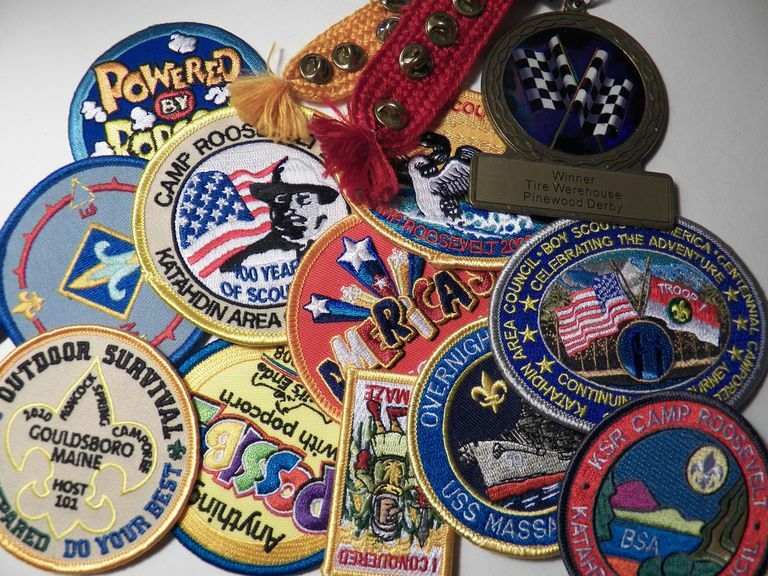 Environmental Science or Sustainability: Long before it was a trend, the Boy Scouts organization was concerned about the sustained health and well-being of our outdoor environment. Scouts learn all kinds of skills pertaining to the outdoors to earn this badge. Swimming, Hiking or the Cycling badge - Safety and competence in these three areas is key to being a healthy and well-rounded young man. Camping: Camping and scouting have been intertwined ever since the Boy Scouts of America organization began. When he founded the Scouting movement in the early 1900s, Robert Baden-Powell encouraged every Scout to learn the art of living out-of-doors. Mastering the tools and skills needed to survive and thrive in the outdoors are at the heart of what scouting is about. Family Life: Appreciating the precious gift of a family and creating a strong family in the future are lessons and goals scouts are encouraged to learn and aspire to. Some of these badges are very time-consuming. Personal Fitness, for example, is not difficult, particularly for anyone involved in high school athletics, but it's a 3-month time commitment and if your child does not stay on top of the significant amounts of record-keeping, it quickly turns nightmarish. Environmental Science can be loads of fun, but it's almost impossible to do at home. In short, there are some insider bits of information — tips that anyone with an older Eagle scout will already know — that can make a huge difference in getting these requirements fulfilled in a timely, manageable and fun manner.